Most recently, I produced a series of factsheets, folders, brochure and a short film were made for the Oceanic Fisheries Management Project, a UNDP-GEF funded project coordinated by the Pacific Islands Forum Fisheries Agency and Secretariat of the Pacific Community and also involving conservation organisations WWF and IUCN (see http://www.ffa.int/gef for project details and downloads). 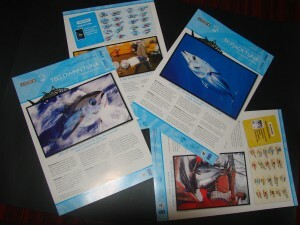 These were featured at World Biodiversity Day 2010 and continued to be used as resources for briefings, education and general awareness. All designs are by Hatamara Graphics, a Fijian based designer, and printing by my preferred printer Discount Printing in Fitzroy, Australia. 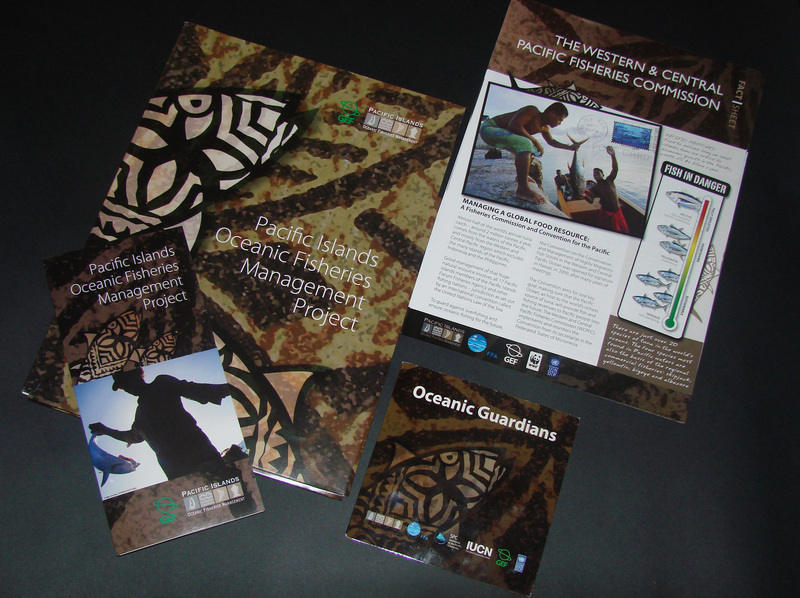 We also had limited edition sarongs or lavalavas printed from DJ Graphics in Honiara, Solomon Islands for this project. This work is project managed fr om ideas to final printed product and delivery. To query and quote for similar project promotional materials, please contact me.